The meeting between the Tatmadaw and the Karen National Union (KNU) in Kyaukkyi Township, Bago Region has been postponed although it was slated for March 29-30, according to the Union-level Joint Monitoring Committee (JMC-U)’s secretary (2) Col Wunna Aung. “We will only know the date after making negotiations. The important thing is for [the KNU] Brigade 5 to attend the meeting. They are still negotiating about who will attend [the meeting]. The result hasn’t come out yet,” he said. Skirmishes broke out between the Tatmadaw and the KNU Brigade 5 due to a road construction in Hpapun District in early March. Fighting has stopped at the moment but both sides need to discuss so they originally planned to meet in Kyaukkyi. “Both sides are busy. They are still negotiating about the meeting. We will only find out the date after the negotiation is over,” said Saw Issac Poe, vice-chair of the JMC-U. 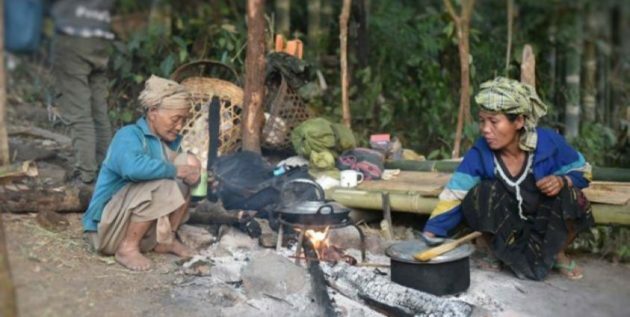 Around 2,000 local residents of Hpapun District are displaced due to the skirmishes and they are still unable to return home.